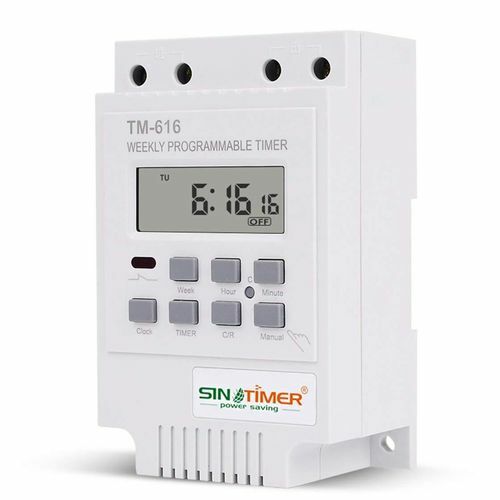 Din Rail Digital timer with LCD display 24V it can bu used in solar systems and autocaravans. Din Rail Digital programmer 220-240V with LCD display. It can be programmed for hours, days or weeks. Din Rail Digital programmer 380V with LCD display. It can be programmed for hours, days or weeks. 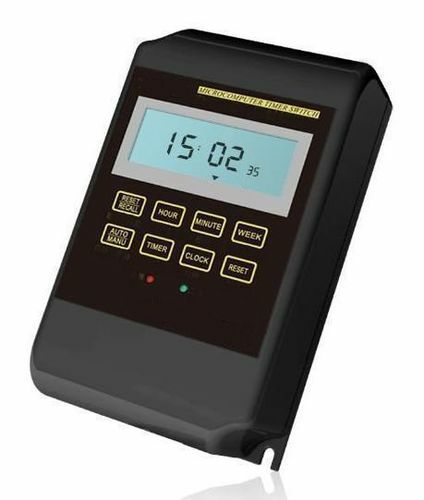 Threephase digital programmer 380-415V with LCD display. It can be programmed for hours, days or weeks. 2 units threephase digital programmer 380-415V with LCD display. It can be programmed for hours, days or weeks. Din Rail Digital programmer 220-240V and 25A with LCD display three ways. It can be programmed for minutes, hours, days or weeks. 24V wall digital timer programmer with LCD display for 24V solar installations and caravans. 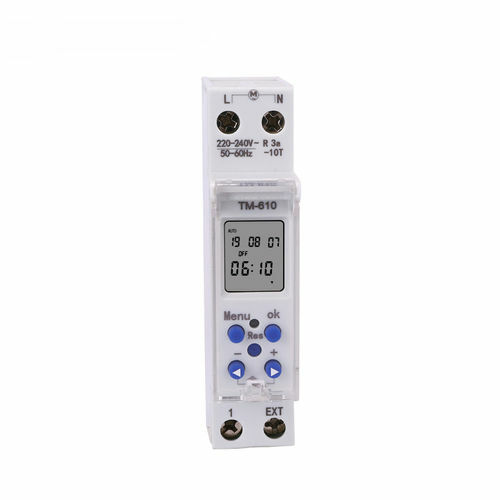 220V wall digital timer programmer with LCD display to program any 220V electric appliance. Waterproof digital programmer 220-240V and 25A with LCD display. It can be programmed for hours, days or weeks. Din Rail Digital programmer 220-240V and 25A with LCD display. A single output. It can be programmed for hours, days or weeks. 24V wall digital timer / programmer with LCD display for 24V solar installations and caravans. 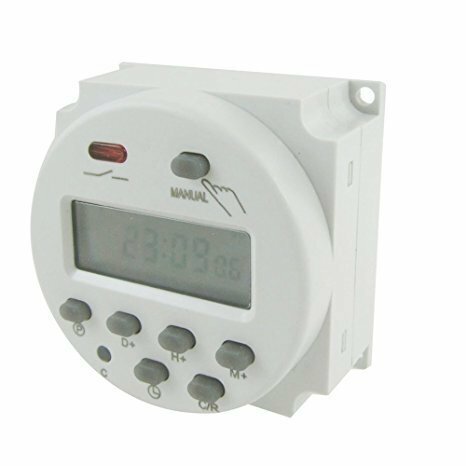 220V wall digital timer / programmer with LCD display for 220V installations. 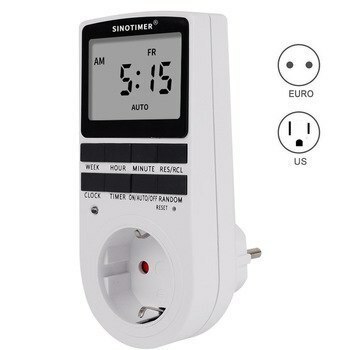 Plug with digital programmer to turn the appliances on and off at the desired time automatically. McLean digital plug-in programmer for automatically turning on and off electrical appliances at the desired time. Programmable 220V digital programmer, turn on and off automatically any electrical outlet at the time you want. 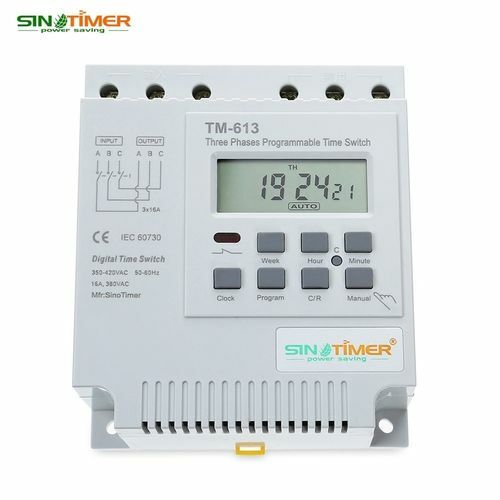 Digital programmer of 220V programmable by minutes with screen for automatic switching on and off of electrical appliances. Cover for wall programmer 12, 24 and 220V, with this cover your programmer will be waterproofed. 12V digital programmer with programmable screen per minute with capacity for devices up to 30 amps.